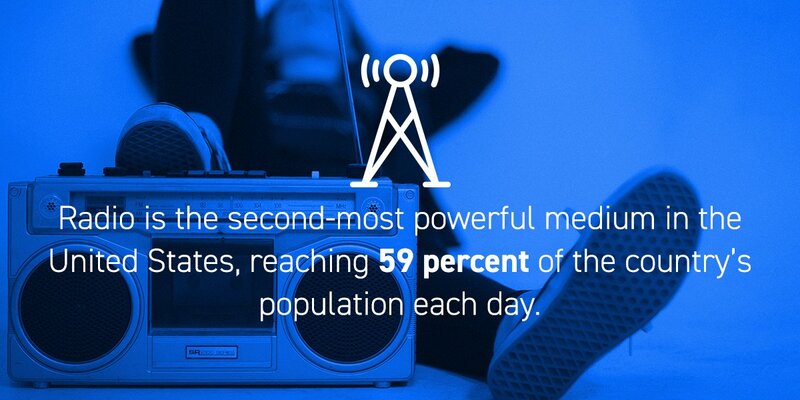 Like television, advertising on the radio enables your brand to reach large numbers of people quickly. Advertising is purchased after in-depth research on all stations in the market. We are then able to efficiently target stations have listeners most accurately emulating the characteristics of your target demographic. 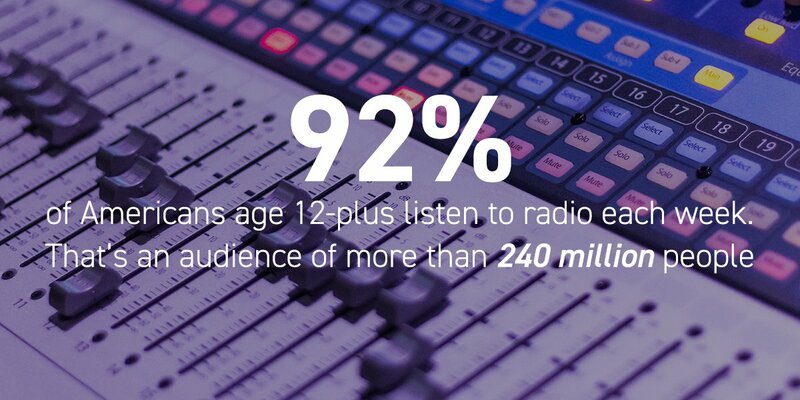 Radio advertising campaigns offer a unique advantage; the power of testimonials. People who listen to radio stations typically do so because they have forged a trusting relationship with their chosen on-air personality. Direct brand recommendations to listeners have proven to be one of the highest driving forces behind sales and awareness.